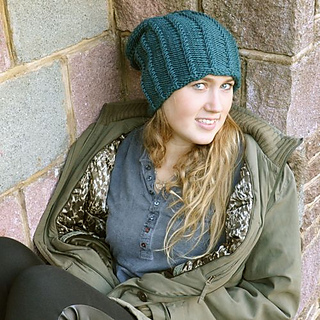 The Bessie May Snug Slouch Beanie, is stretchy and easy to wear, whatever way you choose ~ pull it down low, fold it back, or just let it slouch ~ with the chunky yarn, twisted stitches and spiral patterning, enjoy the deep texture. You won’t get cold that’s for sure. 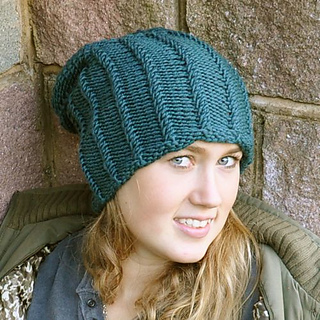 Knitted in one, in the round, with creeping twisted stitch work, for spiral of Beanie Slouch. Decrease shaping for crown. 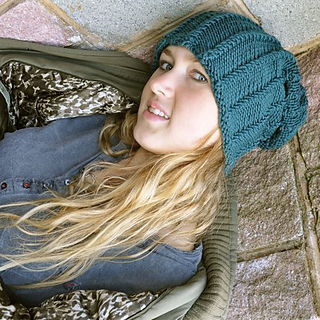 Fast to grow and fun to make and wear.